The usual suspects (how I love you and the support you give to my endeavours) and a few newbies (thrilled to have you join in) have responded to this 2013 Edition of the Accentuate the Positive Geneameme. 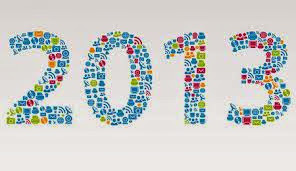 Thank you so much for taking time out from your festive frolics to reflect on your Geneayear. And just in case you need an extra dose of Pollyanna positivity you could watch this GeniAUS Hangout on Air. I decided to try something different in response the Accentuate the Positive Geneameme I published last week. Firstly I realised that my response was going to be loooong and I wasn't looking forward to typing it up, secondly I needed to respond before I posted the list of links to others' contributions and most importantly I wanted to try something new. So here is my response recorded this afternoon as a Google Hangout on Air to which I invited no other participants.. Apologies for the dodgy sound and the patchy pictures. I looked and sounded fine as I did the recording so will blame the heavy traffic through my ISP or Google on this New Year's Eve. In a post on the 27th December last year I spoke about the gear I would be taking on the 3rdUnlock the Past Genealogy Cruise. I made a few booboos with my packing so I will post parts of that earlier post below with comments on where I went right or wrong in green. There are several comments on that first post with good advice so take a look at them too. Although I have been known to take a cruise or two for pleasure I am a novice in the Geneacruising stakes. I should be preparing my talks for the 3rd Unlock the Past Genealogyand History Cruise but instead I am thinking about what I will pack for this learning experience on the megaliner, Voyager of the Seas. Still haven't learnt my lesson I should be preparing my talks for the 4th cruise. I won't be sunning myself on deck during the day so I won't need a 2 litre container of sunscreen or a cornucopia of sunhats. I'll add some cool weather clothes as it might be cold in Tasmania and it is definitely cool in the Conference Center in the bowels of the boat. Rainwear is essential, last cruise it rained as we left Sydney and I wanted to watch the sailout from up on deck. I imagine that I'll be too tired at night to enjoy the shows and kick my heels up in the nightclub type bars so I can leave the sparkly cocktail type outfits at home. I did take a couple of sparkly outfits and am glad that I did. Most people on this boat took the formal nights seriously with many of the men wearing black tie and tux. My order for two UTP polo shirts has been placed so I'll need some detergent to wash them and hang them in my shower to dry overnight (I hear you have to pay to use the ship's laundries). I didn't order the polo shirts this year as I forgot to pack them for the last cruise. They didn't even have laundromats on this ship so be sure to pack the detergent unless you want to pay a fortune to have your gear laundered. Sensible shoes are essential as this is a seriously big boat and I'll be doing lots of walking from place to place and standing on my feet when I deliver my presentations. The stilettos won't be joining me on this trip. Mr Geniaus isn't coming along on this journey so I'll be minus a baggage attendant. I need advice on geneacruising fashions that won't weigh my bag down. I would love suggestions from experienced geneacrusiers on what clothes to pack. Did I take notice of this? No. I decided that, as I wasn't going on a plane and wouldn't have weight restrictions with my luggage, I would fill my big case to overflowing. I had so much in it that the wheels wouldn't work and I nearly had an asthma attack trying to get it to the checkin point. Smart casual is the order of the day for geneacruisers. I'll be taking my Pacsafe handbag and purse with me in case there are any pickpockets on the high seas or in the ports we visit. The other issue is, of course, gadgets. I'm taking my laptop, a couple of cameras, my mobile phone, a portable hard drive, a voice recorder, a thumb drive, some blank DVDs and power adaptors for the US outlets on the ship. I might even take pens, pencils and some paper. I'll throw in a bundle of business cards as well. I'll take even more tech this year. Last year I was caught out when the shipThe most important thing will be my 3G USB wireless dongle so that I can access the internet at a reasonable cost while in port. The internet charges on the ship are exhorbitant and the speed is snail's pace. Definitely get some cards with your contact details and research interests printed on them from a cheap as chips place like Vistaprint. What else will I take? Earplugs. One of our group had the next door neighbours from hell and had interrupted sleeps for the entire cruise. Hopefully there won't be too many young people running in the corridors at night when the genealogists are trying to get thier beauty sleep.but it is better to be prepared. Water I'll be taking a few bottles of water on board as the cost of drinking water on board is also exhorbitant. If you like a tipple don't be tempted to take alcohol on board. It is likely to be confiscated on boarding and returned at the end of the trip. That being said I know some people who have put gin or vodka into a 2 litre water bottle and taken it on board. Trove Tuesday - Where was Grandfather on NYE? I would wager that my Grandfather, Thomas William Curry, a man who appreciated a good bit of horse flesh joined his mates in Canowindra, NSW at The Trotting Carnival held there on New Year's Eve in 1949. My mate DearMYRTLE posted today that she was going AFK. Curious soul that I am I wondered what AFK was so I asked mt friend Google. Urban Dictionary gave me an answer "Away From Keyboard." I have been mostly AFK while indulging in Christmas activities: sleeping, shopping and most importantly spending time with the living. Now that the pots, pans and plates have been cleared away and sheets, towels and tablecloths washed I am once again ready to resume genealogical activities. I had a short break from family last Friday evening when I hosted another GeniAUS Hangout on Air in which I was joined by several of my online friends. Thanks to Chris Wright, Brenda Wheeler, Les Tobin, Fiona Tellesson, Linda Ottery, Lilian Magill, Karen Hughes and Pauleen Cass for coming online and sharing stories of your geneatriumphs from 2013. Thanaks also to those loyal supporters who watched the Hangout live online.Congratulations to first timers Linda and Karen on their Hangout debuts. I hope that I didn't frighten you away and that you will join me again. The topic for this hangout was Happy Dances in which genealogists were asked to share stories of brickwalls knocked down, cousins found, events attended, places visited, resources discovered and your CGD (Continuing Genealogical Development) during the year. With my happy hat on I also reissued the Accentuate the Positive Geneameme in which I asked genealogists to reflect on the good things that happened during the year. To date three of my geneablogging mates have responded and I hope that more (including me) will participate in the coming days. I will collate a list of responses to the geneameme shortly for your reading pleasure. Twelve months ago I published this geneameme and received several responses plus positive feedback about the activity so I am challenging you to take stock of the current year and share your good news once again. Here is what I posted last year. 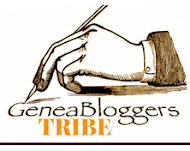 At this time of year many geneabloggers take stock of what they have achieved or not achieved in the previous twelve months and set themselves goals for the coming year. I have been reading several of these posts this week. I feel that a lot of my geneablogging friends are too hard on themselves; several have reported on their successes this year but quite a number have lamented that they haven't achieved as much as they set out to do or that they haven't blogged with the frequency they envisaged. You are a bunch of highly motivated people who have made great strides in the genealogy sphere. Let's share the good news. On a whim this morning I decided to throw together a Geneameme in which you can share the positive results of your Genea Activities in 2012. I invite you to take part in this activity by responding to the following statements/questions in a blog post. Write as much or as little as you want. Once you have done so please share your post's link in a comment on this post or to me via social media. I will, in due course post a list of links to your contributions on this blog. Remember to accentuate the positive - please delete the statements that are not relevant to your situation. 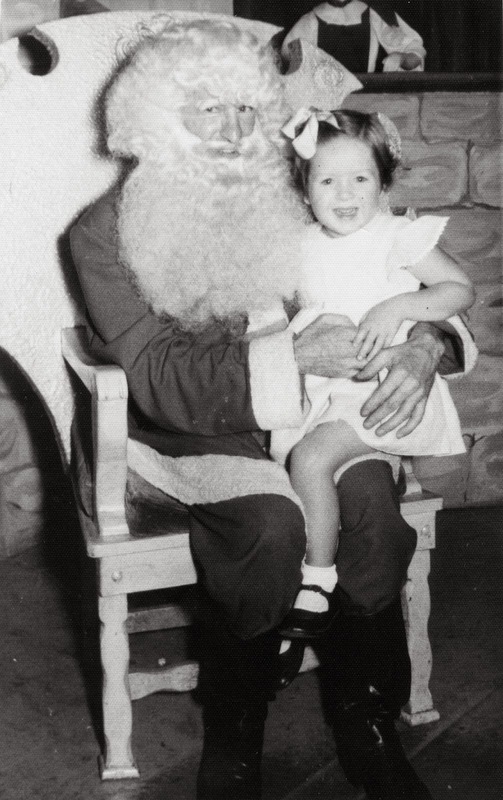 This week I had a trawl on Trove to find out what had happened in my suburb, Galston, on Christmas Eve in days gone by. When driving through Galston Gorge this week I have been admiring the splendid display of Christmas Bush on the sides of the Gorge. It is now an offence to remove Christmas Bush from this protected area that is part of The Berowra Valley National Park so hapless citizens should not find themselves in a similar predicament to Mr McAuley. For those unfamiliar with this stunning plant please read my Christmas Bush post. FM'S TRADITION OF BLOG CAROLING! So my fellow GeneaBloggers, I challenge each of you to blog your favorite Christmas Carol - Blog Caroling. We'll all sing along! (Blog Caroling is posting the lyrics, youtube video, etc. of your favorite Christmas carol on your blog.)" This year I have selected a traditional Australian carol "The Three Drovers" (1948, Words by John Wheeler and Music by William G James) performed by The Sydney Philharmonia Motet Choir. I love this carol because it relates to Christmas in our Australian environment and is set to beautiful, joyous music. Who and What is in your PLN? PLNs are commonly referred to in the education and library circles I inhabit but I have not heard my genealogy friends discuss who and what are in their PLNs. In the 20th Century our PLNs probably consisted of those people we met at meetings, chatted up in libraries and encountered on bulletin boards plus the authors of the journals and books we read. In the 21st Century the internet and the emergence of social networks have enabled us to broaden the number of people with whom we share information and resources. We can connect with like-minded people all over the world. I still learn from fellow members of my Societies and those whose lectures I attend at home and at conferences but my network now crosses borders and my communication is both synchronous and asynchronous. My Personal Learning Network is an important element of my Lifelong Learning. Who and What is in my PLN? I just had a quick personal brainstorm and came up with this Wordle. I'll probably think of more things to add tomorrow but this is a good starting point. Do you have a PLN? Have you given consideration to who and what is in your PLN? Yesterday I had a great outing with two of my first cousins. Although I see them regularly it is always at family gatherings or when we meet up with our extended families for lunch at some venue or other around Sydney. We never seem to get a chance for a real good gossip. At the last family gathering, a 21st for one cousin's daughter, we decided that it would be nice to just have a get together for the three of us. As we each live on the different outer edges of Sydney we chose the CBD as our venue. Although it was a stinking hot day outside we holed up in The Cortile at The Sydney Intercontinental Hotel for High Coffee and there we stayed for over four hours. My cousins aren't into family history but they love family gossip and sharing stories. As the oldest of the three I was able to share memories of our grandmother who was a robust, calm and gentle devout Catholic fiercely proud of her Irish heritage. The youngest cousin only remembered here as a little old lady with dementia while we older girls had memories of a proud, upright lady. For years I had wondered why this grandmother had moved from her home town of Dungog away from her family to Canowindra. My middle cousin piped up "I know that". A mystery solved! Nanna suffered from asthma and took medical advice to move from the humidity of Dungog to the drier climate in Canowindra. Second cousin then added "Is that who I should blame for my asthma?". She didn't know that her grandmother had suffered with chest problems. As we talked about our parents, their early lives and shared stories they had passed down we learnt more about our family history and relationships. The girls got a giggle when I told them of a couple of shotgun marriages that occurred in the family prior to 1920. The cause of death of another relative brought a smile to their faces as they had always thought the reason given to them for his death was implausible. Pooling our knowledge from snippets shared by our parents we worked out that another relative had given birth to three children and had put them up for adoption. There must have been a few ears burning in heaven and on earth yesterday as we shared stories of various family members. As a result of our conversations I will be adding a few private notes to my family database. We three had such a wonderful time together. Two of us are only children and the other has only one sibling who lives overseas so we are starved of the close relationships those with many siblings enjoy. 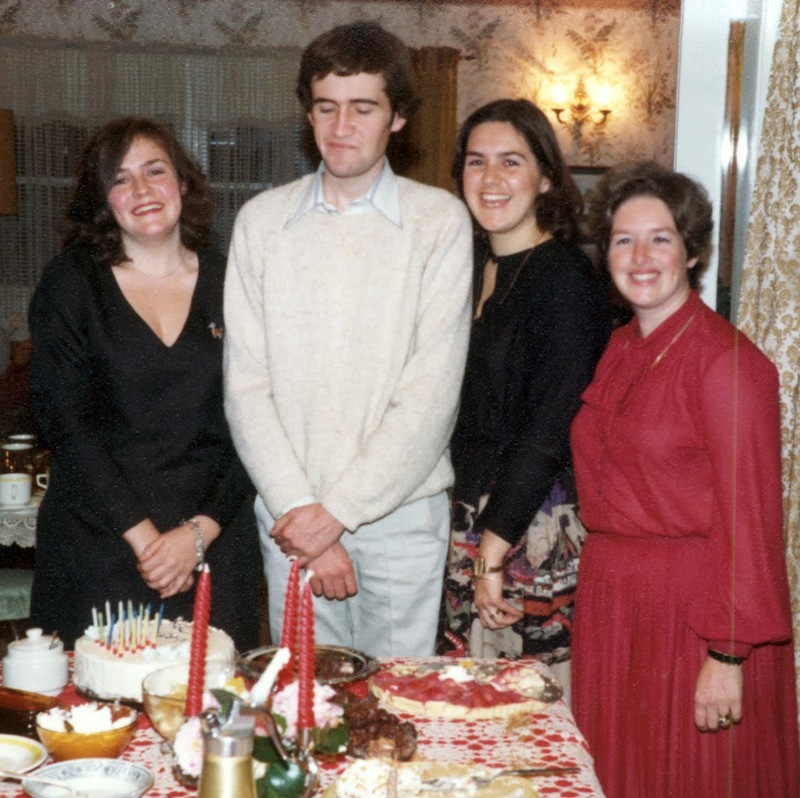 Jill (right) withe her paternal first cousins 1980. I can highly recommend sitting down with your cousins and sharing stories. Those cousins might just have a piece to complete a puzzle that has been baffling you. My eldest grandchild is presently on a Music tour of the United States with her school orchestra. I am embedding this unlisted Youtube video of a nnippet of their performance at the Ronald Reagan Presidential Library here on my blog so that I have a reminder of her excursion. Emily is the small, dark-haired viola player in the centre of the screen between the clarinets or oboes (hard to identify what they are). Thanks to five kind souls who joined me in the GeniAUS Hangout on Air this morning I think we have pooled our experience to give some useful advice to Foreigneres and First timerw who are attending the 4th Rootstech Conference in Salt Lake City. Hilary Gadsby from Wales, Jane Haldeman from Chicago, Illinois, Jenny Joyce from Sydney, Australia, Brenda Wheeler from Queensland, Australia and Russ Worthington from the US i appreciate the support you gave during this Hangout on Air. I do apologise for saying umm so many times and for the instances when I did not have the camera on the person who was speaking. Perhaps I should learn to sit still and not laugh so much as well. I am learning a little more about the process each time I host a Hangout! Those who wish to view the recording of the Hangout can do so via this link on Youtube: http://youtu.be/ztarTg14_qk or you can watch the video embedded below. Please add any comments you may have about the Hangout to its Youtube page. Although I found several images from a search for "Christmas Shopping" on Trove most of them had copyright restrictions that prevented me from sharing them on this blog. The image is entitled "MELBOURNE, VIC. 1942-12-21. 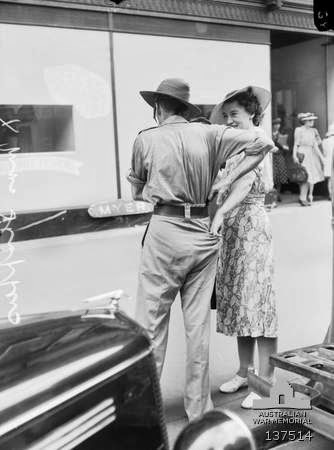 A MEMBER OF THE AIF HAS DIFFICULTY KEEPING HIS MONEY FROM HIS WIFE DURING A CHRISTMAS SHOPPING EXPEDITION." Mr GeniAus can empathise with this serviceman. Times never change! Thanks to The Australian War Memorial for allowing members of the public to share their photos. In the recent GeniAUS Hangout on Air we shared details and showed screenshots of our genealogy groups' activities. We gave precedence to Aussie societies but also mentioned those overseas or international organisations that we have joined. Following is the list of Societies mentioned by the on air panelists and those who were following the event on Youtube. Anne Young (off air) The Genealogical Society of Victoria GSV.org.au which has a terrific online index for members, the Genealogical Index of Names, a great magazine, a library in the centre of Melbourne on Collins Street, and a very friendly research service for members who don't live in Melbourne. The Avoca and District Historical societyhttp://home.vicnet.net.au/~adhs/ADHSMain.htm which has very extensive card indexes of people who lived in the district compiled from all sorts of records, schools, vaccinations, the undertaker who was also a furniture maker, newspapers, letter collections. My husband's family came from the area and I found the group very helpful for researching his family. 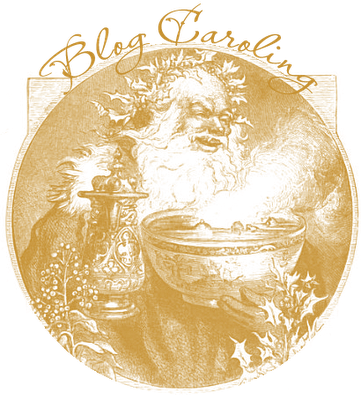 The Ballarat and District Genealogical societyhttp://www.ballaratgenealogy.org.au which actively researches locally. It's library is combined with the local library which is terrific as it means extended visiting hours as well as the co-location of two great resources. Thank you once again to the generous genies who joined in with our event. I've been a little quiet on the blogging front this weekend. I've had a visits to the theatre, movies and the ballet in the past few days that I really enjoyed but I should space these out rather than have them all bunched together. Today Mr Geniaus volunteered to help me do our Christmas cards and I wasn't going to miss an opportunity to have some assistance, we had done the overseas ones earlier in the week but I was dragging the chain with the local ones. His cousins, friends and former colleagues will get a surprise this year when they see his handwriting on the cards and envelopes. After completing that task I rewarded myself with some research time. I wasn't doing anything too involved, I was just going though my Curry (my maiden name) cousins, looking for obituaries and newspaper articles on Trove, attaching some missing sources and seeing if I could find any new connections on Ancestry. I found a couple of potential cousins, some clues that helped solve some questions and also a host of inaccuracies. After spending a few hours on this task I uploaded a gedcom to my family site, http://www.geniaus.net. Hopefully the fresh bait extra names and details I have added will reel in some new cousins. I am thrilled to announce that, in addition to hosting my GeniAus Hangouts on Air, I will be working with Unlock the Past as a host/moderator on Unlock the Past Hangouts, a new venture in 2014. I have been discussing this move with Alan Phillips from Gould Genealogy and Unlock the Past for quite some time. Alan has a long list of topics for the Unlock the Past Hangouts that promise to have something of interest for all family historians. I won't steal his thunder by sharing details of what he proposes but it is fantastic. I will continue to host GeniAUS Hangouts on Air which differ in flavour from the UTP Hangouts. The GeniAUS Hangouts are more informal in nature and will complement the Unlock the Past program. 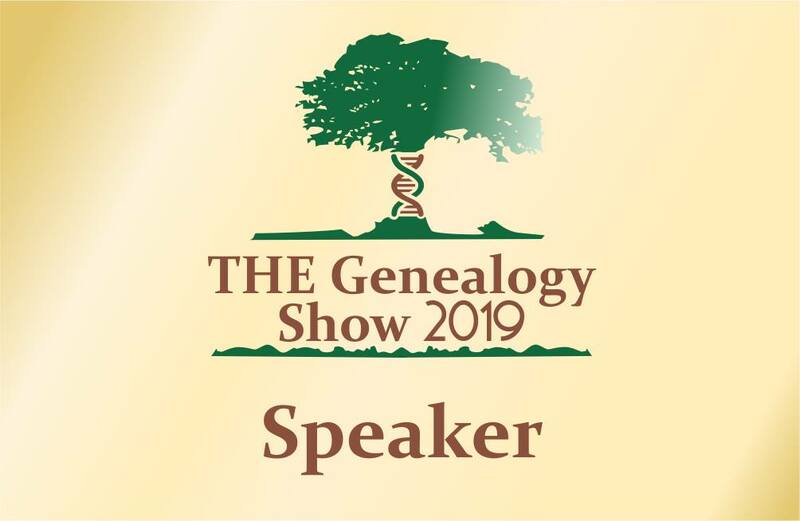 I am pleased to be partnering with a firm that gives so much to the Genealogy Community, many individuals attending live events have benefitted from the generous prizes and giveaways Gould Genealogy/Unlock the Past offer. Alan Phillips is investing quite a deal of time and energy to provide these free Unlock the Past Hangouts to the genealogy community. 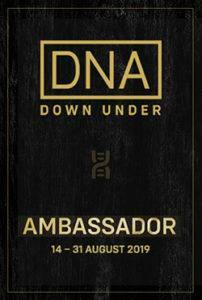 These events will give people in remote areas of Australia and those who cannot attend genealogy conferences and events in person an opportunity to hear a range of speakers from Australia and abroad speak on a diverse range of topics. Unlock the Past is to be commended for providing this service that no family history society in Australia has yet attempted. Hangouts on Air are video conferences that one can join as a panelist or watch live from a computer, tablet or mobile phone. Those who watch live can ask questions of the panelists via the Unlock the Past Hangouts Community. To join the Community you will need a Google account then go to this link https://plus.google.com/communities/111698461607562622872 and select Join. Hangouts on Air are recorded and saved on Youtube so even if you are unable to watch a live event you can watch it at your leisure in your own time. You are invited to join the Unlock the Past Hangouts Community. Goaded on by Mr GeniAus I have completed our family Christmas letter for 2013. This reminded me of two of my posts from 2010 and 2011 which I am resharing below. For those newsletters that come from family I record the details of births, deaths and marriages that I glean from them in my genealogy database. I then file them in my family history files in the author's file. I have over ten years of newsletters from one cousin's family that when read sequentially tell a beautiful story, warts and all. She is not into genealogy but one day her descendants may be; there may be nowhere else that this story is recorded for these youngsters. I am pleased that I can curate this collection for the future. Thanks to contributions from the team of panelists who joined me online last night we had a super GeniAUS Hangout on Air. I will be posting a list of links to the Societies they nominated. In the interim you may wish to view the Youtube video of the event. The panelists were: Chris Wright, Brenda Wheeler, Michelle Watson, Les Tobin, Lilian Magill, Marg Doherty, Pauleen Cass. This group of switched on Australian genealogists are worthy of following on Google+. This week Julie Goucher of Angler's Rest asked us to respond to the following prompt in The Book of Me, Written by You activity. Or use any other historical (well known or otherwise) event. 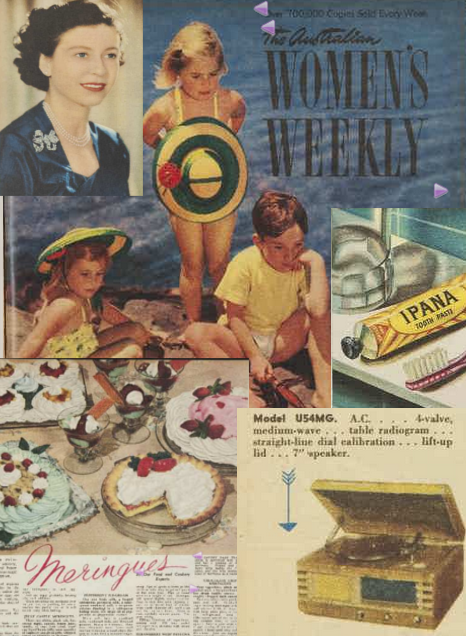 For this post, for which I am rather late, I turned to the Australian resource Trove found a few images from the year I was born and from them created a collage. In the process I learnt a little about how to use GIMP. What year do you think it was? I can't understand societies that pay little attention to their websites. In the 21st Century a group's website or blog provides the world with a window into a society and its activities and resources. A daggy, outdated and old-fashioned website gives the message that a group or its members are daggy, outdated and old-fashioned. I was frustrated earlier this year when I tried to access the website of The Central Coast Family History Society to get details of their Family History Fair and found that it was down while a new site was being built. I was delighted this week to discover that their new website is up and running at http://www.centralcoastfhs.org.au/home-top. Whilst there are a few things I would change (but that's personal opinion) a perusal of this site tells me that the Society is a vibrant group with a wide range of activities for members and that it is actively publishing materials of local interest. The new website is an attractive showcase for the Society, Congratulations to The Central Coast Family History Society. How does your Society's web presence measure up? Those who read my blog should know that my keyboarding skills are punk so I am always looking at new ways to share information and experiences and so it is with Rootstech. I won't be attending in person this year but, as an Official Blogger, will be observing and reporting from afar. Just recently two Australians have mentioned that they might be travelling to Salt Lake City for their first Rootstech Conference and they have asked for a bit of advice. 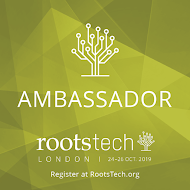 Rather than just dish out my tips in an email and to save my typing fingers I am going to prepare a Hangout on Air in which I answer any questions those and other people might give me and share my experiences of travelling to Rootstech both by myself and with Mr Geniaus. If you have any questions about Rootstech please let me know by the weekend and I will do a Hangout on Sunday or Monday. If you fancy joining me on air for this session then please let me know. Today December 5th is International Volunteers Day. On this day I salute the brilliant band of volunteers who make our genealogy journey so much smoother. Where would we be without the blog posts, bulletin boards, indexes, learning activities, lookups, mailing lists, online resources, photo archives, social media friends, society members and officers, transcriptions, tweets, videos and websites that are freely available to us. The work of this mostly silent army of workers enables us to have a rewarding genealogical journey. If you have availed yourself of any of the freely available resources created by volunteers but have not yet joined the volunteer army please consider signing up to a project and giving something back to the community that has helped you so much. Where do you hide out?